Between the late sixteenth century and early nineteenth centuries the artist´s world underwent great and significant change, by the end of this period the transition from mediaeval to modern colours was well under way. R. D. Harley´s book applies itself to a detailed and comprehensive examination of the primary documentary sources of this crucial period, providing an invaluable complement to the work of analytical scientists concerned with the identification of pigments. 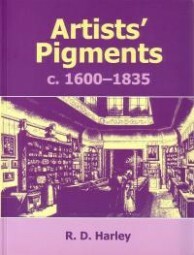 Kundenbewertungen für "R. D. Harley: Artists´ Pigments c. 1600 - 1835"